A few days ago Alistair Roberts tweeted this video of N.T. Wright explaining the Biblical view of marriage. I knew it would be interesting and (more than likely) extremely insightful so I added it to my "watch later" playlist on YouTube. I finally got around to watching it yesterday and I was NOT disappointed! Wright has the ability to take a particular theme of the scriptures and connect it to the broader Biblical story in such a way that renders a beauty to that theme that was absent when viewed in isolation. This is precisely the case in this video when Wright looks at the Biblical theme of marriage. Take the time to watch for yourself. What I found so insightful from this brief video was the way in which Wright brings together the mystery of Biblical symbolism in order to push back on our modern detachments surrounding the realities of heaven and earth. Modern Christians in the west need to work to uncover the importance of symbolism. Thankfully, our ignorance of symbolism does not diminish the wealth of symbolism that surrounds us daily. We don't need to create new symbols. The symbols (like marriage) are already there. What is necessary is that we have our eyes opened to the Biblical symbolism that pervades our world and that we view the world through those new eyes rather than the symbol-averse eyes of late-modernity. 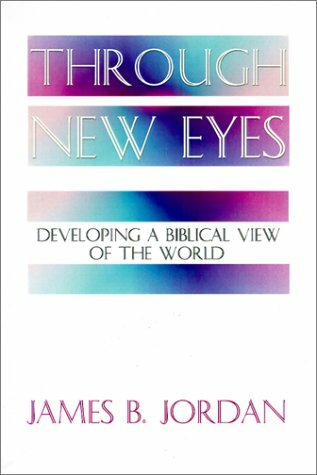 A book I read earlier this year that shows this very thing is James Jordan's Through New Eyes. Follow the link to the right and check it out!